Rowley’s Restaurant 113 Jermyn Street, has been open for 44 years. It is housed in the very building where the famous Walls meat business began. In 1790, Richard Walls was apprenticed to a pork butcher in St James’s Market. By 1807 the young man had learned his trade and taken over from his master. From 1812 to 1901, the business claimed a long succession of Royal Appointments – from King George IV to King Edward VII. During this time, Richard’s grandsons, Thomas and Frederick, took over the running of the business. In the 1800s, work began at 4 a.m. and Frederick, who lived with his family over the shop, would walk through the cobbled streets to buy meat at nearby Smithfield Market. 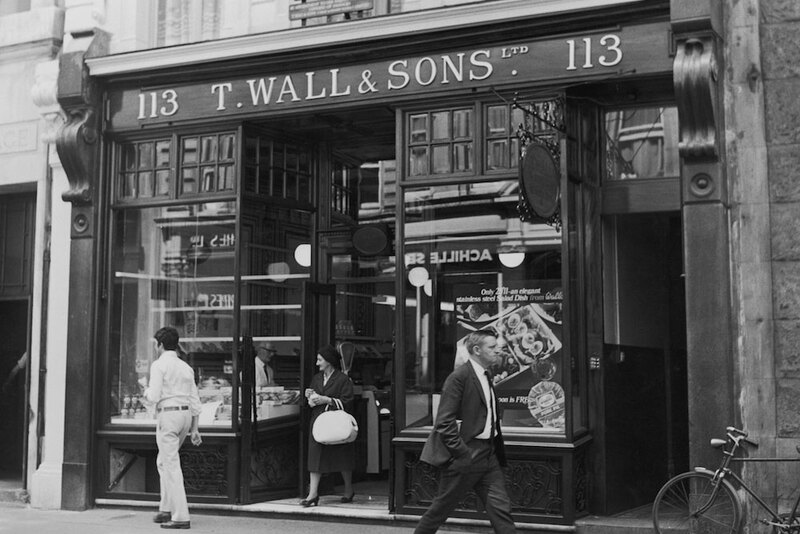 Thomas Wall was equally busy, and not just in the butchery business. He could regularly be seen immaculately dressed in morning coat and silk hat, attending to his duties as the Councillor for the Borough of Westminster. He became a Victorian gentleman of appointment and importance. The history of Rowley’s is evident in the beautifully preserved interiors and it remains a well-respected British Institution to this day.